This is actually a 5 reel, 20 pay line online slot game that offers the players with a chance of winning huge money. And this is all due to the four progressive jackpots which the game boasts. This time the Euro Games Technology offers 20 absolutely awesome ways to win. There is plenty of fun to be done. The gameplay is extremely smooth. No lagging on the spinning wheels. The sound effects are basic but it offers the players a sense of achievement. 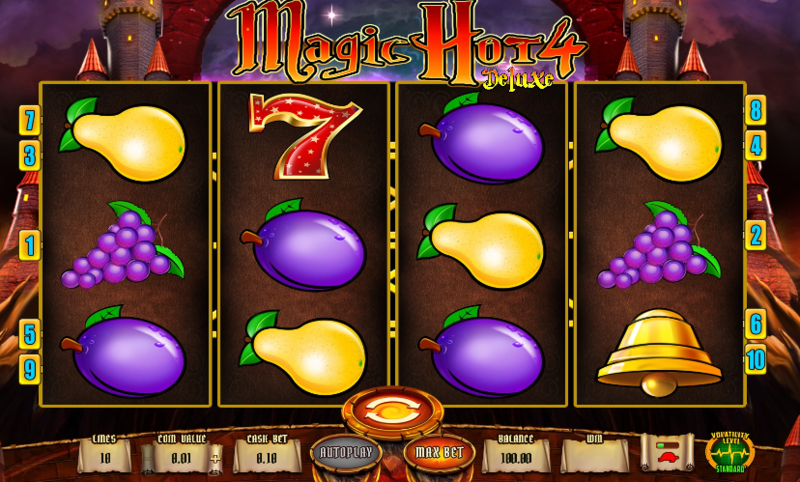 This colorful slot is stacked with the fruit symbols, traditional seven, wild symbols and stars that are the scatter symbols. Before you start playing, you have to adjust the bet. The minimum and maximum coin size is 1. But you can select the b among the 5 bets that are already offered. These bets range from 20-400 and these bets will be placed under the reels. The bet buttons work as start too. So, the moment you choose your bet, the fun begins. If you are looking for bets, you can click the green start button in right corner. The game has fixed 20 pay lines. Also there is an auto play button. This can be used for spinning a certain number of rounds with no interruptions. There are innumerable features that make this game really interesting one. The players can gable any number of wins less than 700. You can access the gamble rounds by just pressing on the active button “Gamble”. You have to guess the color of the card by selecting on “black” or “red”. Make a correct guess and your win will be doubled. And this will also give you a new card. But remember that a wrong guess will end the game and you are going to lose everything. You will also have the option of ending the game by yourself just by collecting the winnings. There is also a bonus game jackpot card. This will be randomly triggered in case any jackpot cards stamped game is played. The jackpot cards are four level mystery jackpots where each level is illustrated as Clubs, Hearts, Diamonds and Spade.